1- Brother Hamza Tzortzis is not an Arabic speaker. I am. 3- Brother Hamza Tzortzis did not even talk about the Numerical Miracles. I thoroughly demonstrated many of them. It seems that all you do is throw in empty nonsense to just reject Islam. Have it your way. I did my part, and Allah Almighty is my Witness. You want to continue to stubbornly reject Islam, that's your problem. This is getting out of my hand at this point. Let's not get into the nonsense of using peoples' names as proofs. I can name you names that are FAR GREATER THAN brother Hamza's name that fully embrace the school of the Scientific and Numerical Miracles in the Glorious Quran. These are Ph.Ds with ample research in the Glorious Quran. [018:065] Then found they one of Our slaves, unto whom We had given mercy from Us, and had taught him knowledge from Our presence. The Arabic word that has DNA letters in Arabic in the Noble Verse is لدنا. But this Noble Word is also used in the following Noble Verses, and they don't give any hint about the Word's meaning to mean DNA today. Show me where following Noble Verses are hinting to DNA? [020:099] Thus do We relate to thee some stories of what happened before: for We have sent thee a Message from Our own Presence. [021:017] If it had been Our wish to take (just) a pastime, We should surely have taken it from the things nearest to Us, if We would do (such a thing)! [028:057] They say: "If we were to follow the guidance with thee, we should be snatched away from our land." Have We not established for them a secure sanctuary, to which are brought as tribute fruits of all kinds,- a provision from Ourselves? but most of them understand not. I won't argue long with you on this. Please do not use this approach here. The others where you matched Noble Verses' numerical references with dates are ok.
May Allah Almighty bless you. Please honor my request to you. Alaikom Salam brother Osama, i want to tell you one thing, wallahi i love you in the name of Allah for your effort on this site, this site has shaped my knowledge about Islam, you dont know how many times i have used your texts from this site in my dawah, i pray to Allah to reward you with paradise. Before we end this discussion about programming letters in quran i want to tell you one thing, be like one of the sahaba when he wanted to hear what prophet had to say, he was thinking If he speak true i will accept it, if he speak falsehood i will reject it, i am logical man. SO if i speak the true, you can only benefit from it and use my arguments in your dawah, beacuse so far nobody of atheists could reject those examples even though they wanted to do it so bad, but they could not. Even if a Child comes to me and say, Hey, do you want to learn from me something new about quran wich can benefit you in your dawah, i would say show me, beacuse i know if something is logical i accept it if it is not i reject it, as easy as that. only this verse contain DNA 3 times and nowhere else in the quran, there were 1, 2 and 3 occurence /verse in the quran but not greater than 3, like 4,5 or more. and put it in your search quran program and yo uwill see that only verse 18:65 mentions only DNA 3 time and nowhere else, that is why it is special. DO you understand me brother now? 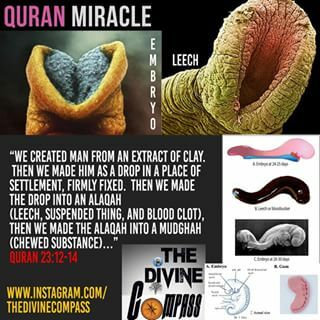 why would God yuse Word leech then in describing embryo? question for you all, who can connect embryo phase with LEECH in 6th Century without microscope? 1- Allow for your writings to be picked up by search engines. 2- Allow for them to be searchable by the users. 3- Allows the user to copy and paste and verify. 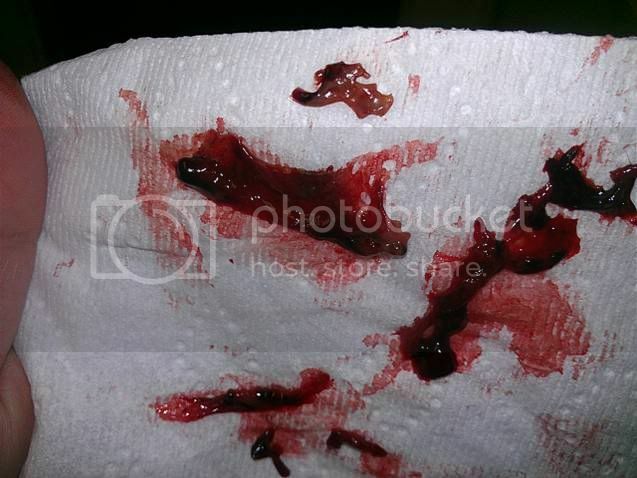 Now for actual pictures like the Leech, for example, then yes, please do post them as pictures. But please make your text in actual writings and not images. If I have objections or find errors, then I'll just directly respond to you. This way we can interact and reach to the Truth, insha'Allah. May Allah Almighty bless you, akhi. Ameen. Feel free to express your thoughts as you wish. I won't interfere. I will interact with replies if needed, insha'Allah. Take care akhi, and keep up the great work! In any language there are no scientific miracles in the Qur’an. I do not rely on one translator, rather I go to corpus.quran, and if you have additional translations I am always interested in contrasting your translation with that of established and often referenced authors. In any language brother Hamza has thoroughly refuted explicitly several of your asserted scientific miracles. You have offered no specific rebuttals to our refutations, only links that repeat your erroneous assertions. He has not explicitly addressed all of them but I will begin to do so myself below. Yes, I would be interested in the PhDs and others you mention. What are their names? I have replicated one of your asserted miracles. It took me about an hour. Below are 114 numbers representing the number of verses in 114 chapters of a book. The sum of these 114 numbers is 5938. The sum of 114 verse numbers is 6555, as you have often cited. Entering the 114 verse count number into your numerology algorithm yields a sum of even numbers equal to 5938, and the sum of the odd numbers equal to 6555. I, an ordinary man, intentionally constructed this “numerical miracle”. Therefore, an ordinary 7th century man was capable of doing the same. It was all good fun and I learned a few fascinating aspects of this numerological illusion, and in the spirit of Randy, I will reveal my secrets. First the sum of the chapter numbers and the verse numbers must always equal the sum of the even numbers and the odd numbers. This is because the whole numerological algorithm is just an example of the associative property and the commutative property of addition. The algorithm adds a set of numbers using one set of associations, then adds that same set of numbers a second time using a different set of associations. Since association and commutation does not change the sum in addition of positive numbers the answers must always match no matter what the verse lengths are. But this numerology lays out additional criteria. The individual sums must always match. Now, since 6555 is an odd number the chapter number total must match the odd number total, because a sum of even numbers is always an even number. Likewise, the verse length total must be an even number, because it must match the total of even numbers, which is always even. So, all I had to do was get the odd number total to match the fixed value of 6555. This was quickly and easily done by my brain. For example, if the total of the odd numbers was 121 too low, all I had to do was look for an even number of 122. I then subtracted 1 from the verse length on that row so the total would now be 121 on that row. The even/odd test automatically moved the number 122 out of the even number column and into the odd number column as 121. This movement caused the odd number total to rise to exactly 6555. By necessity of the algorithmic structure the even number total automatically then matched the verse count total and…presto…I created a “numerical miracle”. In real life all the scribe would have had to do is combine 2 adjacent verses in the chapter into a single verse, and he would have achieved the exact same effect. Brother Osama, the time has come for an intellectual awakening for you. I warmly invite you to the realm of rationality and reason. I urge you to find the intellectual courage to realize the enormity of your errors, and make a change that cleanses your mind of your irrational belief in scientific miracles in the Qur’an. I, for one, will not be gloating when you do, rather, warmly welcoming you into the light of reason. Thank you for quoting the Qur’an, it makes such an obvious fact of the utter lack of scientific miracles in it. No, science tells us that humans evolved from lower primates. No, this is nonsense. There is no “drop in a place of settlement” phase in human development. No, there is no leech stage or blood clot stage of human development. Anyone who has ever cut the cord for a newborn baby knows babies are, in a very vague sense, a “suspended thing”. No, there is no “chewed substance” stage of human development. This passage is obviously a crude and false guess about human origins from mud, followed by a very primitive and ignorant description of the products of miscarriage. I will not post the images themselves because it could be an emotional issue for those who have lost a child in pregnancy, but the unfortunate fact is that miscarriages have been happening for all human time. In the days of Muhammad there was no 911 call and a rush to the hospital. Women had their miscarriages wherever they lived so the sight of the products must have been well known. 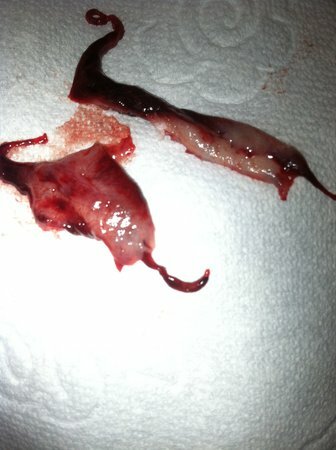 Obviously, the products of a miscarriage look like “a chewed thing” or a “leech” or a “blood clot” just use google images. Muhammad was just giving a crude description of an unfortunately all too common sight. How anybody can even remotely consider this to be a “scientific miracle” is the only mind-boggling aspect to the nonsense argument from embryology. 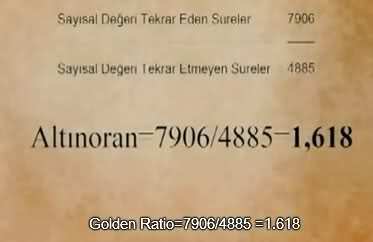 question for you is now, did you programmed golden ratio in your numbers like it is programmed in the quran and verse numbers? and if you do this, same else should also be programmed wich is even greater than previous example, all most be symtrical like quran chapter and verse numbers are symtrical. try first with golden ratio, then we can continue on simetry. no, science dont tell us that, beacuse science is emprical, something wich you can see and test in experiments, while evolution is a theory, not a fact. 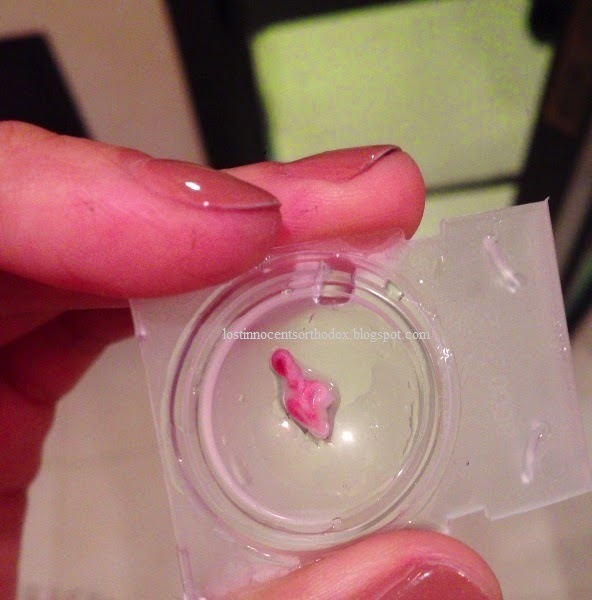 why does embryo look like leech on this microscopic photo? why are you lying yourself on this Point, you can clearly see, everybody can clearly see and you say there is no leech stage. we are neighter dumb nor blind, but if you want to be blind then be blind. Funny when people keep talking they eventually expose themselves. Tell me something fella... how many times were your evolutionists caught red handed faking evidence? Tell me something Hasbara... what do NASA first look for when they send probes to outer space to check for life? "We created from water every living thing" ....SPOT ON!! When you are in the grave and you are left to rot... what do you go back to? Dust... earth..clay... SPOT ON!!! I tell you what is miraculous about the Quran... for every miracle you can say but Muhammad traveled and observed and bla bla bla.... it is the consistency... the utter precision. Not ONE mistake. now if only 2 or 3 miracles hit the nail on the head.. id be skeptic.. but each singleone of them and there are hundreds and thousands yet to be uncovered. I dealt with scum like this my entire life. This guy is a shekels per posts type of guy... AMIRITE? Allow me to remind you of the meaning of the term you use repeatedly. So, in your view, it is precisely right and exact that life is made from water and that we return to dust , earth and clay when we rot. Life is not made exactly from water; in fact DNA requires 5 elements whereas water only contains 2 elements. We do not return exactly to dust, earth, and clay. Much of our bodies turns to gas, or is consumed by other organisms, or returns to the water cycle. It has been suggested here previously that I am committing a logical fallacy in insisting that the words of Allah must be complete. But you apparently do interpret those words as precise and exact. If your interpretation of the words is correct then both you and the Qur’an are quite mistaken. However, water is obviously essential to life, and we obviously do break down and contribute to soil growth when we are buried in the ground. This is a miraculous observation to you? No, there is no leech stage to human development. "what is this then?" you ask. 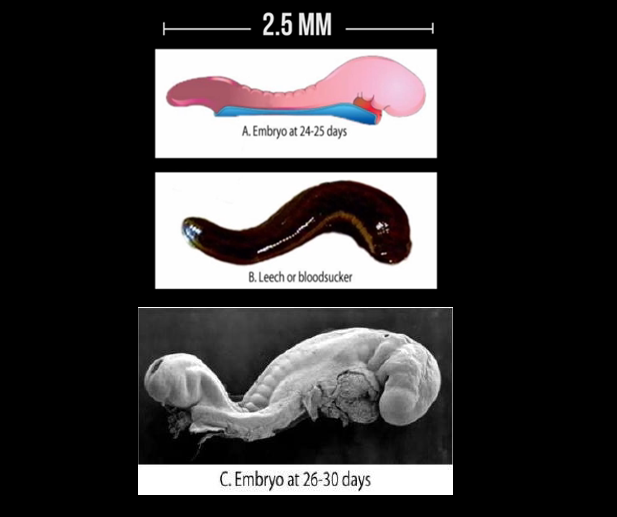 Yes, I realize that at that point in development there is a very crude resemblance between a leech and a human embryo. It is a simple observational fact that human beings resemble leeches in their early development. All that is needed to observe this fact is a miscarriage. 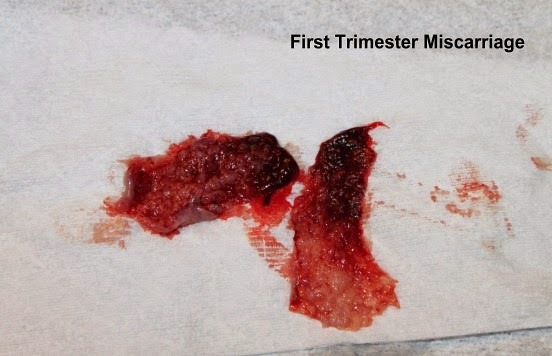 There is no scientific miracle in describing the products of a miscarriage as a leech, or a clot, or a chewed thing. Those are just crude descriptions of the obvious.